Please note, if you plan to participate in the DeVito Strong workout on Friday, we recommend subbing pull-ups for ring rows after the round of 12! 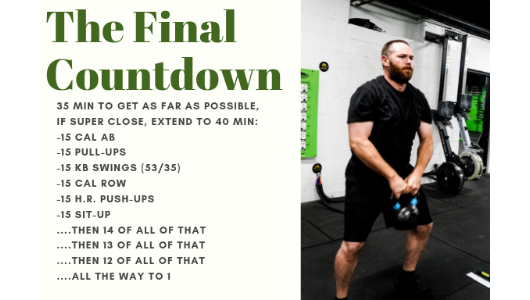 -MINUTE 3= 12 Sandbag bear hug Lunges(total)(3/2) + Max Sandbag Facing Burpees with remainder of the minute. **Score= Combined score of Parallette Shoot throughs and Bag Facing Burpees.